‘…it matters that you and I show up. It matters that our tears of pain, anger, injustice and sadness pool together; that our empathy- our humanity- is not lost in the current tidal wave of destruction. It has been said that without vision the people perish. I would say that without hope, the people perish. A hopeless society is far more deadly than any war, atrocity or dictatorship. When the bleak, despairing voices of fatalism and defeatism threaten to overwhelm a society- bold advocates of resilient hope, faith, optimism and joy must fight all the more to be known…’ One of my favourite female singers of late, and from Addison Road, one of Christian music’s most underrated groups that reigned during the 2000s, singer/songwriter/storyteller Jenny Simmons embarked on a Kickstarter to fund her new album- with her goal being superseded by more than 200%, Jenny is now releasing her first autobiography/inspirational book alongside a 7 track EP during the month of September. While it was a little unfortunate that her debut solo album wasn’t as popular as it could’ve been, her ability to partner with individuals (as a result of her being dropped from Fair Trade Services) has given us all (myself included) a greater insight into how quickly labels can pick up and drop artists. Despite this cold and clinical fact, artists are resilient and still continue to refine and shape their craft. 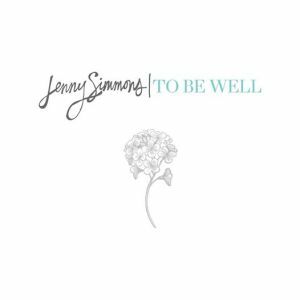 To Be Well, the newest album from Jenny releasing September 23rd, is one such EP that is worth the wait of nearly 2 years. One of the most honest, vulnerable, heartfelt and confronting singer/songwriters of today’s generation of Christian music artists (alongside others like Andrew Peterson, Josh Wilson, Lindsay McCaul or Steven Curtis Chapman); Jenny’s ability to carve simple melodies yet give them a quality of relatability that can be applied to every individual who hears it is nothing short of remarkable. From the powerful single “Time To Be Well” to the amazingly recorded Amy Grant cover “Lead Me On”, Jenny’s heart to bring us closer to wrestling with concepts such as being well (one that is threaded through the entire EP) is one that is choreographed and arranged nicely. A great surprise and one of my favourite EP’s of the year, Jenny’s popularity, while still lower than expected, will nevertheless increase with the poignancy and emotiveness of her voice and the song’s themes on To Be Well! Initially released as part of a compilation project called Reverence: An Offering, Jenny’s first song that showed us something new since The Becoming was and is nothing short of profound, powerful and prolific, and arguably one of my favourite Jenny Simmons songs ever. With a looping percussion, driving acoustic guitars, and Jenny’s soulful and refreshing voice reminding us of our need for community with each other and wanting to be well from the ailments that plague us; we are presented with “Time to be Well”, a story song about the man who was helped into a room to see Jesus by four friends who were so dedicated in seeing their friend healed, they broke through the roof to create the opportunity. The bridge where Jenny cries out ‘…you tore a hole in the roof and you laid me down, just to make me well…’ is a phrase we all need to think about- how much are we willing to do, or not do, or even sacrifice, to be well- both physically and spiritually? In a society where both our physical and spiritual needs are overlooked in place of our needs right now, it is with the words of how ‘…no man’s an island, we need each other…’ that Jenny fervently declares that gives us hope that our friends and family will help us through predicaments, even if we do feel like the crippled man and need our friends to carry the faith- something we may not necessarily have right now or even unsure if we believe it at all. Possibly one of Amy Grant’s most famous songs ever, “Lead Me On”, written by Wayne Kirkpatrick, Michael W. Smith and Amy herself, is one where the lyrics deal with anti-slavery topics, and also delves into the issues of man relating to fellow man. Poignant and heartfelt considering that it was written in 1988 (one year older than myself), its relevance and emotiveness is still felt 26 years later, as evidenced by Jenny’s re-recording of this beloved melody, and a song that I’m sure listeners of both CCM and mainstream music would know from the 1980s. Calling out to God to ‘…lead me on, to the place where the river runs, into Your keeping…’, Jenny brings out the powerful guitars and her distinct passionate voice to stamp her trademark sound onto a song that’ll be to Amy as “Friends” is to Michael W. Smith. A song that brings a sense of nostalgia but also timelessness and fits right into the 7 song lineup, Jenny brings out the best in the song- making me even enjoy it more than the original at times! “More Love, Less Hustle” though being subdued in the musical department, also unveils to us some of the most confronting lyrics of the entire EP as we are reminded to love more and be present in relationships instead of welcoming the hustle, and busyness that sadly immerses modern day society. The chorus of the song, as Jenny encourages us to have ‘…a little more love, a little less hustle, a little more quiet, a little less noise, a little more wide eyed wonder, at the simple things I’m holding, embracing ordinary moments…’, not only makes the song a profound moment on the EP, but also a standout throughout the year as well. Kudos to Jenny for creating one of songs that have been instrumental these last few days in re-reminding me of my need to take time out and retreat from the bustling noise of everyday life. “Be My Healer”, a promotional single from the EP, brings the piano to the fore in terms of musical instrumentation as Jenny continues to highlight the theme of being well as we invest our time in the 3 minute 38 second track, hearing poignant emotive lyric lines of how ‘…I wanna be well…there’s light and dark within me, but I’m breaking all these pieces, only You can heal me, Jesus…’ While this song hardly ever builds up musically, the song is nevertheless as enjoyable and encouraging. “Not My Name” is a declaration to Satan that the words that have been spoken over us are not more as this song reflects on who we are in Jesus in a round-about way, and with light acoustics and a CCM sound that is fit for radio, Jenny gives us all a way to deal with Satan’s weapons as we hear her say ‘…all the things that you said about me, all the lies you made me believe, it’s all over cause I’m finally free, it’s not my name, not my name…’, declaratory and a great reminder of what and whom we need to rid ourselves of, it is the first and last track, alongside “More Love, Less Hustle”, that really stand out to me personally. “God of Open Arms”, the EP ender, gives us acoustic guitar strums as Jenny uses the melody to bring a conglomerate of people from all walks of life into the umbrella of people searching for hope and home. A song that relays back to hope in a similar way to “The Joshua Tree”, it is when we realise that God has outstretched arms that we can run towards God in whatever state we are currently in- and whether we’re the saint, the sinner, the wise, the foolish, the poet, the preacher, the lover, the leaver, the student or even the teacher; it is not something we dwell on when we’re in the presence of a God who’s encouraging everyone to come home to Him. 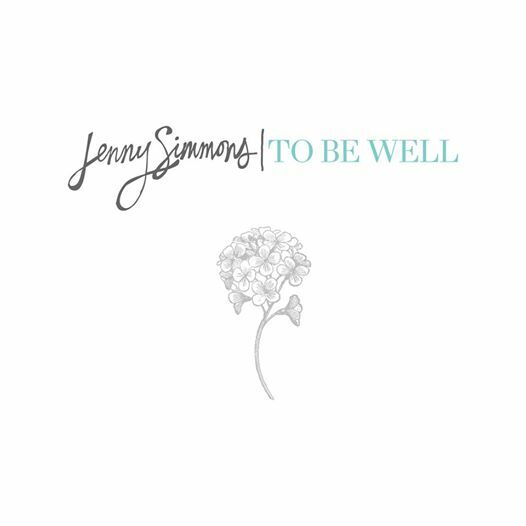 With each of Jenny’s songs on the EP reminding us of our innate need in all of us to be well no matter our personal experiences, these songs encourage us to move from hurt to hope, hopelessness to healing, and confrontation to comfort as we are reminded of God’s grace that abounds every circumstance we find ourselves in. From the encouraging quasi-title track “Time To Be Well” to the powerfully covered “Lead Me On” and the confronting yet also comforting “More Love, Less Hustle”, this is a great album for anyone who loves great songwriting, from similar artists like Steven Curtis Chapman, Jason Gray, Nichole Nordeman, Lindsay McCaul or Amy Grant. Though Addison Road is no more, Jenny is far from over in the industry, and To Be Well shows us this. My favourite EP of 2014 so far, this album’s only sore point is that it was a little short- no fault of Jenny’s, just me saying that the EP is so good. Maybe another album next year in quick succession? To Be Well is a great listen- with Jenny’s heartfelt moments of encouragement to take the first step into admitting we are in need to wellness the centre of the EP as a whole. Well done Jenny for the EP, and a standout set of songs released in September 2014 so far! Check out a couple of Jenny’s songs on youtube below! Hope you enjoy them!